The EuroGEOSS workshop took place in Geneva from 12 to 14 September. 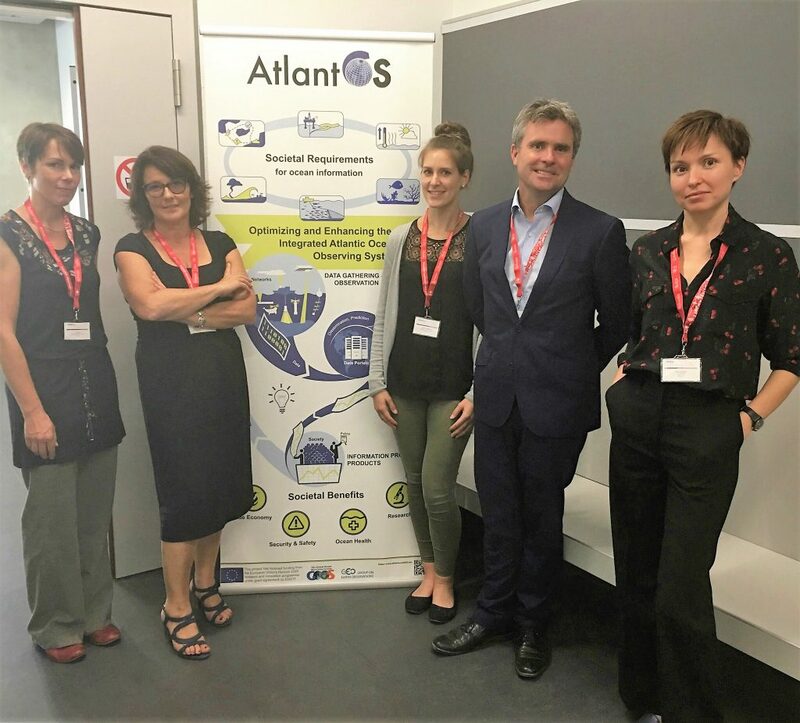 At the workshop, the H2020 AtlantOS project and EuroGOOS co-organized and co-chaired a breakout session “Monitoring for FAIR data principles – how could European expertise foster the implementation of SDG 14 objectives?” on 13 September 2018. The breakout session discussed how ocean observing experts can link their knowledge, data, and best practices with the Sustainable Development Goals (SDGs), particularly with the SDG 14 targets and indicators. With support from UN Environment, an international team of semantic technology experts has developed a FAIR-compliant knowledge representation resource (an ontology) for the SDG process. Ontologies express, integrate, harmonise, and expose human knowledge on the web, allowing computers a means to ‘understand’ what in situ and remote data and information holdings are about. Furthermore, the session discussed how the European initiatives and projects as well as GEO link with the SDG targets and how the work carried out is implementing ethics in marine research and data management. Help make the connection between European policies and larger initiatives including the essential climate and ocean variables and the SDGs. Both EuroGOOS and AtlantOS were involved in other sessions of the workshop. AtlantOS organised a hands-on session on 13 September to illustrate how ocean observing applications produced within the project have fostered the optimisation and enhancement of the Atlantic Ocean Observing System. EuroGOOS presented the EOOS poster and explained the EOOS progress in a lightning talk. All presentations will be made available on the EuroGEOSS website. The AtlantOS newspiece about the breakout and the hands-on sessions is available here.